If you’re a regular reader of this blog, you’ll know that I’m a sucker for prints of animals as humans. Give me a cat in a suit or a dog driving a car or a bird reading a newspaper and I’ll laugh every time. Kevin Lucius of LuciusArt in Chicago is a master of the animal as human print and I love his work. Too many for just one post, so today I’ll just focus on the smartest animals in town. Uh huh. 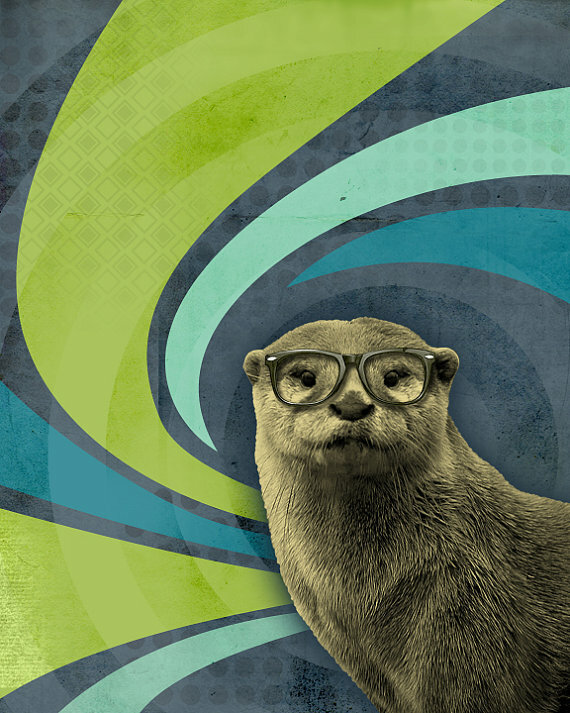 Here is Tony, the Inquisitive River Otter. Tony was always asking questions. He had an irresistible thirst for knowledge. And here is Marvin, the Book Smart Bear. Marvin took his studies very seriously. And here is Tiger (no name required). 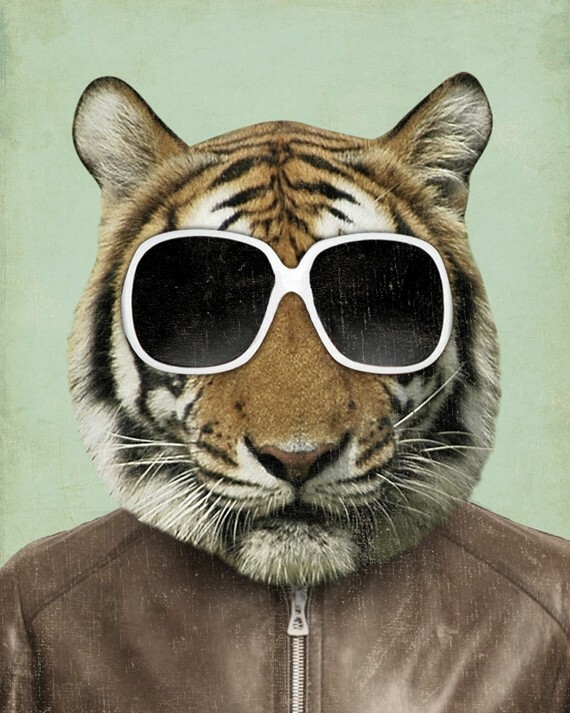 Some Tigers are cooler than others. Ah, Roger, the Studious Owl. As you can imagine, Roger was picked on more than anyone else in the 4th grade. I know a monocle isn’t the same as spectacles, but here’s “Mr Fancy Cat”. Johnny was best dressed cat at the winter formal. Relive the memories of that night with this original print. If you’d like to see more, you can check out the LuciusArt shop on etsy here. Roger reminds me of Will.I.Am… Am I imagining things? Roger the Owl, or Tiger the Tiger, TSL? If it’s Tiger, I completely agree with you! Oops – TIGER!!!! Roger looks nothing like Will.I.Am!